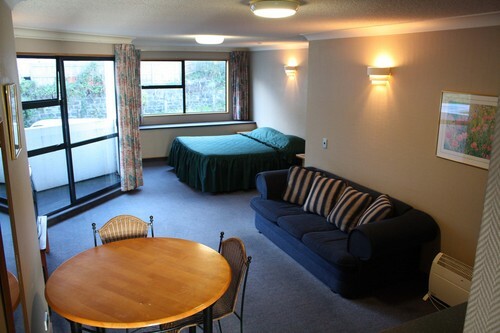 Studio with a 32" LCD television, featuring an ensuite bathroom and kitchenette with microwave, toaster, fridge and tea & coffee making facilities. Free WiFi. Access unit available on request subject to availability. Bedding configuration: Sleeps two people in a Queen or King bed & one person in a Single bed side by side in the same room. 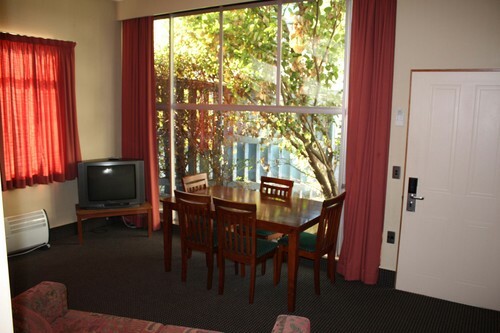 Larger spacious executive studio with a 32" LCD television, featuring a tiled ensuite bathroom with two person bath and separate shower, kitchenette with microwave, toaster, fridge and tea & coffee making facilities, Free Wifi. Large studio living area, a kitchenette with fridge, microwave, toaster, and tea & coffee making facilities and a 32" LCD television, tiled bathroom with a shower over the bath, Free Wifi. 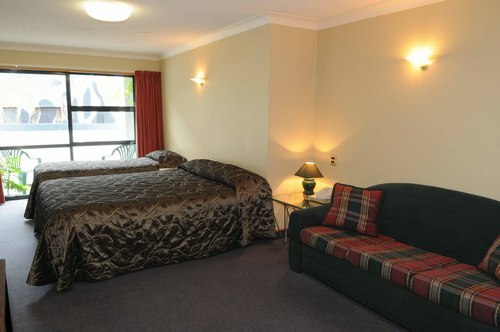 Bedding configuration: 2 Single beds in the bedroom & 1 King bed in the studio. Large studio living area, a kitchenette with fridge, microwave, toaster, and tea & coffee making facilities and two 32" LCD televisions, a tiled bathroom with walk-in shower, Free Wifi. 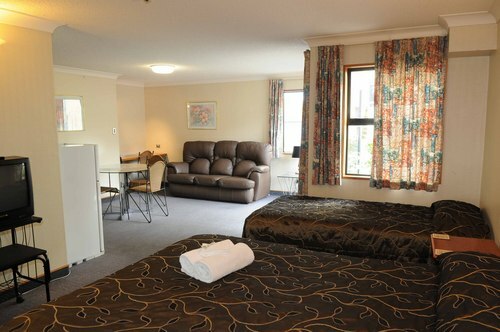 Bedding configuration: 2 Single beds in the bedroom & 1 Queen bed + 1 Single bed in the studio. 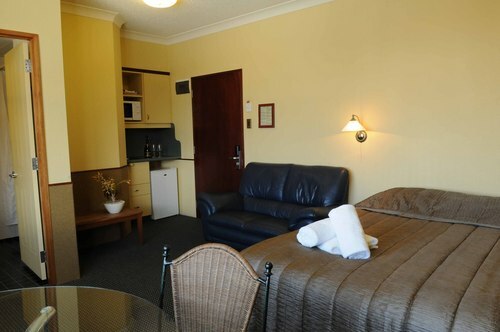 Larger spacious executive studio with a 32" LCD television, featuring a tiled ensuite bathroom with two person spa bath, kitchenette with microwave, toaster, fridge and tea & coffee making facilities, Free Wifi. 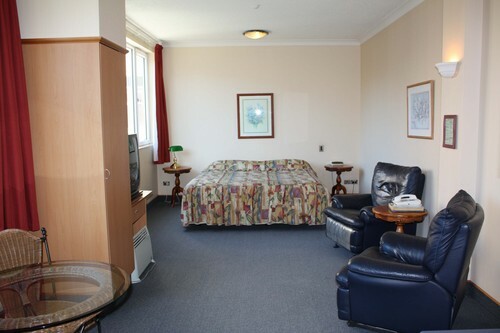 Executive one bedroom suite with two 32" LCD televisions, featuring a tiled ensuite bathroom with bath and separate shower and kitchenette with microwave, toaster, fridge and tea & coffee making facilities, Free WiFi. 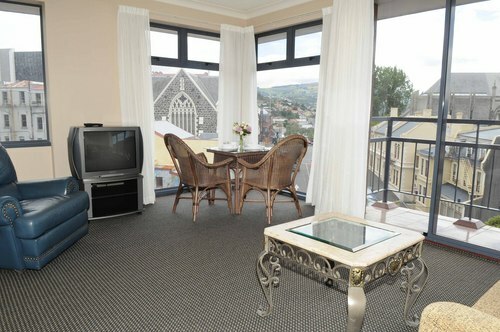 Spacious one bedroom suite with city views from the 4th floor serviced by a lift. 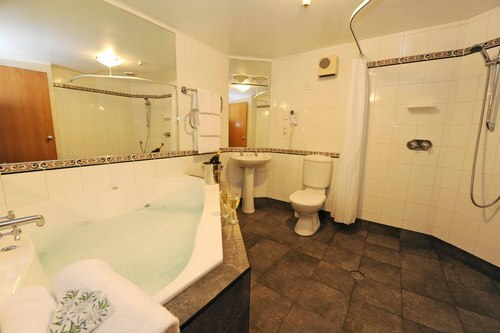 Featuring a tiled ensuite bathroom with bath and separate shower, two 32" LCD televisions, a kitchenette with microwave, toaster, fridge and tea & coffee making facilities, Free Wifi. 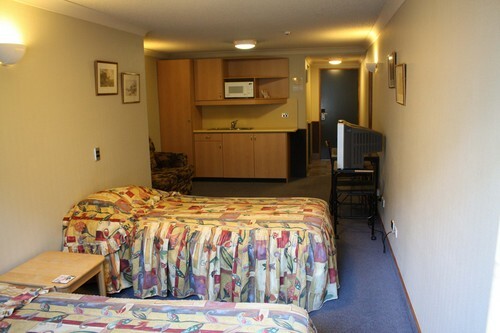 2 Bedroom Unit with separate lounge, kitchenette with fridge, toaster, microwave, and tea & coffee making facilities, tiled shower in bathroom, 2 TVs and Free WiFi.